On Thursday, April 18, we are going to see Carousel Theatre’s production of The Young King. This performance is different from other Carousel productions as it has a different start time than usual, and a slightly different format and location. Please note that the performance itself actually starts at 9:40 a.m.
Carousel asks that everyone be there 20 minutes early for seating, so please be there by 9:15 a.m. at the latest. I do have more tickets booked for this production than I did for Salmon Girl, so don’t hesitate to sign up! Important! The performance will take place at Performance Works on Granville Island at 1218 Cartwright Street. Please check the location in advance; this is not at the Waterfront Theatre, it is a different location further along the street, beside the bus parking area. Please note that babes in arms cannot be admitted to the theatre. LENGTH: The play is approx. 60 minutes with no intermission. There will be a participatory pre-show coronation activity – please be aware that this makes the end time of the performance subject to change. This coming Wednesday, April 10th we are going to Carousel Theatre to see the performance of Salmon Girl. The performance starts at 10:00 a.m., so please meet me in the theatre lounge by 9:45 at the latest so we can enter as a group. The performance is one hour long. The students have been learning all about the life cycle of Salmon, why they are an important link in the eco-system, what threats Salmon are facing, and they have been working hard on their dioramas, which are looking fabulous! The actual field trip time is 10:00 a.m. to 2:00 p.m. They ask us all to arrive there for 9:45 so the leaders can get us ready, go over the day with everyone, etc. Please note, due to the nature of this field trip, only registered students and their parent/guardians can participate in this trip. No toddlers, babies, or students who are not registered in the program. Backpacks, extra clothing and lunches will be stored in their classroom for the duration of the field trip and lunch will be indoors. Please bring a waste-free snack, lunch, and water bottle. All visitors are asked to take their own waste home. No food or drink is available for purchase at the Hatchery. Please wear sturdy footwear. Rubber boots are great. Students and parent volunteers are asked to stay with the station leader at all times. Use equipment (microscopes, etc.) only after instruction from the leaders, and use with care. Ensuring students follow safety guidelines outlined by the GDS Educators, collecting student attention when necessary, and supporting students during station activities. Ensuring students experiences come first, by conducting conversations at respectful levels. Parents are advised there are no places to purchase food near the field trip site, no coffee or tea, and that there is no cell reception. Note that highway traffic near exit 22 is very busy in the morning. Please budget extra travel time if possible. 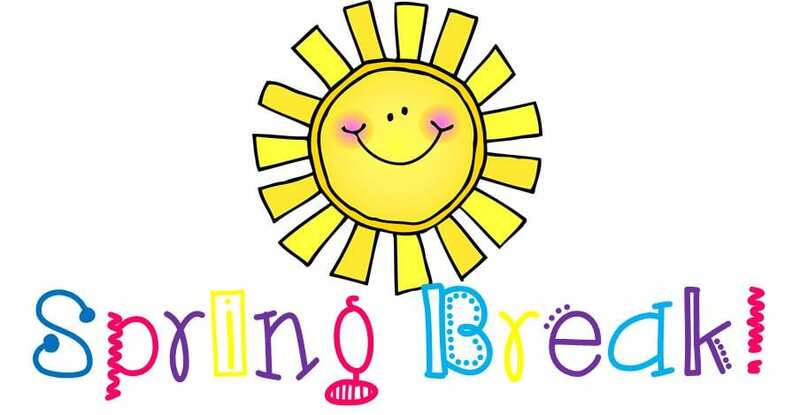 Wishing everyone a happy Spring Break! Programming will resume on Monday, April 1. Looking way ahead, into April, we have a special field trip planned on April 9th to the Seymour River Fish Hatchery & Education Center. To that end, we will start learning all about Salmon and the life cycle of Salmon. I am asking parents to please bring a small box (like a shoe box) and a small bag of gravel to class so that the students can start making dioramas of Salmon habitat and salmon spawning. We will start right away on Monday and Tuesday, so please do your best to find a box(es) and some gravel to bring so everyone can get started! I will have more information and sign-ups late next week or the first week of April. This first week of March with the Home Learners will be a busy one! Monday we still have portfolio meetings for the day – no school. Tuesday the Intermediates will be snowshoeing with the school at Mount Seymour. Everyone who is coming, please be to the classroom by 8:50 a.m. We need to get ready and get on the bus for a 9:00 a.m. departure. We should be back for 3:00 p.m.
Wednesday we have our field trip to Carousel Theatre’s Elephant & Piggie. Please be at Carousel Theatre no later than 9:40 a.m. as we must enter as a group and groups enter first come, first served. This production will go from 10:00 a.m. – 11:00 a.m. Programming at Beaconsfield will resume at 1:00 p.m.
Thursday we have our field trip to Vancouver Symphony Orchestra’s Peter and The Wolf. Please meet me at the corner of Smythe and Seymour by 9:40 a.m. at the latest. DO NOT enter, even if the ushers ask you to! Wait for me and the group and we will enter together so nobody is missed or left unattended. The symphony is from 10:00 a.m. – 11:00 a.m. Programming at Beaconsfield will resume at 1:00 p.m.
February 25th through March 4th are our mid-year portfolio meetings. There are still families who have not yet set up an appointment. This is a friendly reminder that portfolio meetings are a mandatory component of participation in the Home Learning program. Please contact me ASAP to book your appointment. Classes will resume on Tuesday, March 5th. On Tuesday, February 26th, the Home Learners’ class photo will be taken at 9:45 a.m. Everyone please come to our classroom by 9:40 a.m. to take coats off, line up, etc. Parents are asked to wait in the classroom while the photo is taken (not in the hall, please). Once the photo is taken, everyone is free to go. Please note: There is a tight schedule for all the classes to take their photos in the time the photographer has allotted for our school, so if your child is late, we cannot wait or re-take the photo. We will have a very busy week following portfolios as it just so happens that both the VSO and Carousel Theatre have productions that week. We have Carousel Theatre’s production of Elephant & Piggie’s “We are in A Play” on Wednesday, March 6th, and VSO’s Peter and The Wolf on Thursday, March 7th. The Intermediates have been asking to have a pyjama day! To that end, we will have pyjama day this Thursday, February 21. Wear your pyjamas to school! Tomorrow, Wednesday, February 20th is The Very Hungry Caterpillar at Carousel Theatre. It starts at 1:00 p.m., so primary parents/caregivers are asked to pick up students from the classroom at 12:00 p.m. so we can all get there in time. Carousel will only admit us when our entire group is ready, so please be at the theatre by 12:40 p.m.
Well, I almost missed this! We have tickets to the magical production of The Very Hungry Caterpillar & Other Eric Carle Favourites. This production is by Mermaid Theatre from the Maritimes. I have seen this performance in past years and it is truly a delight! The performance is on Wednesday, February 20th at 1:00 p.m. at Carousel Theatre on Granville Island. Tickets are $12.50 per person. The sign-up sheet and consent forms are on the parent table. Even with the predicted cold snap approaching, February’s arrival always seems to me to signal the beginning of the end of winter and the gradual approach of spring! I do hope that Wiarton Willie does not see his shadow tomorrow! Ice Skating on Monday, Feb 4th: Please remember to bring your $5 cash for the outing. The Primary students will have their Valentines Day party on Wednesday, Feb. 13th from 2-3:00. If your child wishes to give out valentine cards, please ensure your child gives every member of the class a card – you can find everyone’s names on the show & tell schedule. You are invited to bring a treat for the students to share. The Intermediate students will have their Valentines Day party on Thursday, Feb. 14th from 2-3:00. If your child wishes to give out valentine cards, please ensure your child gives every member of the class a card. You are invited to bring a treat for the students to share. Thursday, February 21st will be Pyjama Day for the Intermediates. Portfolio Meetings are being held February 25th through March 4th. Classes will resume March 5th. Please email me your first and second choices of dates and times so I can schedule everyone in. Class photo day is Tuesday, February 26th in the morning. Both the Intermediates and the Primaries are invited to come to be a part of our HL class photos. These photos are provided to all students free of charge as a nice memento of the year. We will have ice skating on Monday, February 4th from 10:30 a.m. to 11:30 a.m. All registered Home Learner students are welcome to join in! I will hand out the consent forms to students tomorrow and Wednesday. The fee is $5.00 As this is planned through the school, allotments cannot be used for this event. Please bring in $5.00 per child. Primaries: Please drop your child off as usual. We will be walking to and from the rink, rain or shine, so please ensure they are dressed for the weather and have appropriate skating clothing, including mittens, hats and socks. Intermediates: Intermediates are welcome to join us and be picked up after skating at the rink also. Please ensure the consent forms are signed. Sorry, children without a consent form will not be allowed to skate. This is a friendly reminder that our Tour of the Tropics at the Bloedel Conservatory is on Monday. Please arrive by 9:45 for a 10:00 a.m. start. As it is paid parking within Queen Elizabeth Park, I will wait for students at the drive-up area. The program runs from 10:00 a.m. to 12:00 p.m. The students have all settled back into their routines after Winter Break and have lots of energy and ideas for the months ahead! The Primaries worked on New Year resolutions (posted on the bulletin board) and have started their study of rain forests and rain forest animals. As a group, they have also decided that instead of an end-of-the-year play, they will perform and end-of-the-year magic show! We will be learning simple magic tricks together in class and will work towards each student having their own special illusion to perform. The older students are working on writing their own plays and will perform these for their end-of-year performance. The Intermediates finally started in on their Living Space project (thank you to everyone for completing the surveys from home). Alas, the VSB has the downloads blocked which we need to learn and use the Microbits, and collect the data, so we will have to wait a little longer until they send someone out to un-block them from being used. Which reminds me – if any parent would be able to take photos that I, and others, have taken of this school year, and produce a year-end video, please let me know. For the Primaries: Monday, January 21st is a Professional Day, school is closed. Finally, this is a just a note to let people know that many of your allotments have now been fully used. For some families, I will be putting “invoices” for allotment overages in your files. What this also means, for those families who have used their allotments, I will need cash payments to participate in field trips from this point. Valentines Day parties: Primaries: February 13th, Intermediates: February 14th. Class rule: If your child would like to give cards to classmates, everyone must be included. I will forward a class list for each of the groups to ensure inclusion. Thank you! Family Day: Monday, February 18th. School closed. Wishing everyone a relaxing, restful, and happy holiday season! The excitement level in the classroom has been growing (exponentially!) the last couple of weeks. I’ve been hearing all about Christmas parties, visits to Santa, people coming to visit, and family plans. The children have been busy writing kind notes to one another to fill everyone’s stockings. This week, every day from 9:00 – 9:30 a.m. there will be caroling in the gym. If you arrive after 9:00, come directly to the gym and meet us in there. Tuesday afternoon, Dec. 18th, will be the Intermediate’s Christmas party from 1:00 – 2:30 p.m. Please bring a treat to share. Families are welcome! On Wednesday afternoon, Dec. 19th, will be the Primaries’ Christmas party from 1:00 – 2:30 p.m. Please bring a treat to share. Families are welcome! After the break, programming resumes on Monday, January 7th. For the Intermediates, we will be starting the Living Space project, and for the Primaries, we will start learning about rain forests. Tomorrow will be a busy day with a dress rehearsal in the morning, a performance in the afternoon, and a performance in the evening. Primaries: please bring your child to the classroom with their lunch at 10:55 a.m. so they can hang up coats and get ready for the dress rehearsal. Parents can pick up their Primaries at 2:30 p.m., following the first afternoon performance. Parents please note: Sorry, but parents cannot stay and watch the 11:00 dress rehearsal, this is for students only. Everyone: Please return at 5:40 p.m. for the evening performance. Please drop your child(ren) off in the classroom and head downstairs for PAC’s Cafe Noel and to get seated for the performance. 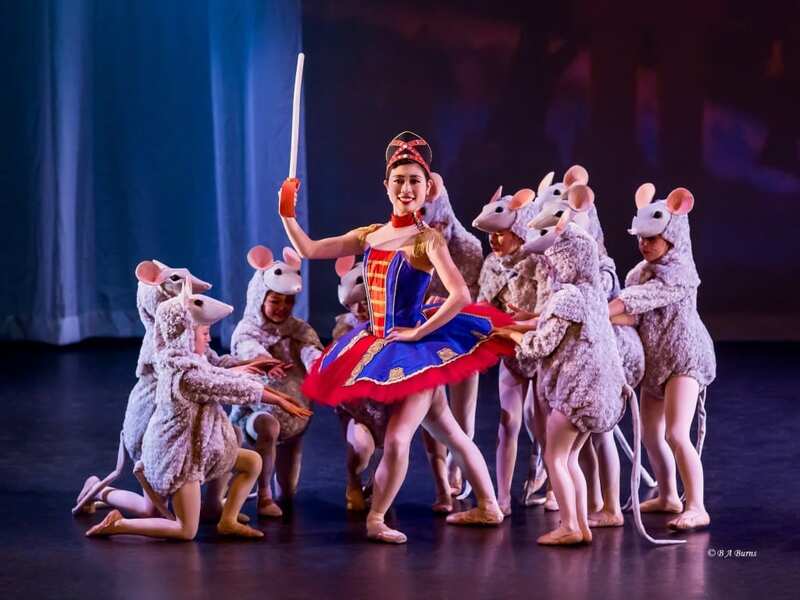 On Monday, December 10th we are going on a field trip to see Seymour Dance’s performance of The Nutcracker Ballet. The performance is being held at Centennial Theatre in North Vancouver ( take the Lonsdale exit and head south – it is adjacent to the highway). There is ample free parking. Please be there by 9:40 a.m. so we can enter as a group and be seated. There are tickets for everyone who signed up! The Dance instructors for the Winter concert know that the Home Learners will not be at the practice on Monday, so please don’t worry about that. On another topic: I did not receive the $5.00 fee for skating from everyone. If you have not yet paid for our skating trip in November, please bring $5.00 at your earliest convenience. Thank you. I listened to this excellent interview and discussion this past Sunday. I hope you will find it as thought provoking as I do. “Research shows the internet is shortening our attention span, harming memory, creativity, wisdom and the capacity for empathy and critical thinking. Michael’s guest is Maryanne Wolf, John DiBiaggio Professor of Citizenship and Public Service at Tufts University. Her new book is Come Home: The Reading Brain in the Digital World.